When visiting the Ghassan Aboud Group’s headquarters—a large eye-catching glass and sandy-colored building in Jebel Ali Dubai where 51-year-old Syrian businessman, Ghassan Aboud, carries out his everyday work—you will find many details carrying the feel of old Syrian cities and Damascus alleys welcoming you into the hallway. Across the wall is an exquisite collage of pictures of his precious Syria reaching out into many directions, telling stories of the billionaire’s love and longing for his home country. 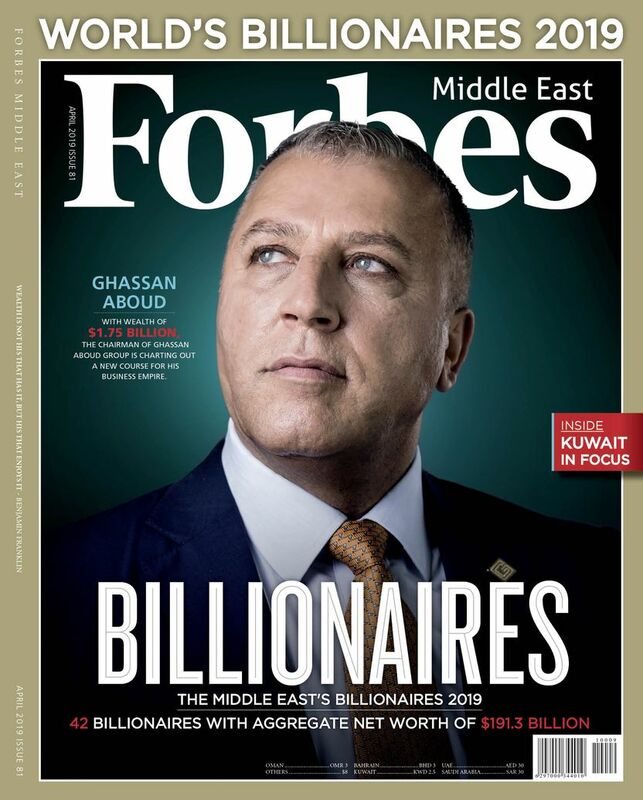 His eponymous conglomerate, the Ghassan Aboud Group, with annual revenues of $1.5 billion is engaged in several key business sectors, including automotive, hospitality, retail, food, media, catering, real estate, logistics and pastoral. With eyes on global territories, the group is active in Middle East, Asian, African and European markets. The group also operates through its offices in Belgium, Jordan, Turkey and Australia. Its operations have enabled Aboud to mint a fortune, which Forbes Middle East estimates at $1.75 billion. With a smile on his face, Aboud welcomes everyone, from guests to employees to clients, to his office on the first floor, where expensive antique mosaic tapestries and upholsteries are spread harmoniously all over the room. Despite his easygoing personality and his heartfelt laugh, Aboud is a family man with a core of steel, who has learned to draw strength and a sense of stability from his loved ones. “I love life, simplicity and humility. I’m also passionate about being adventurous,” says the father of five looking lovingly at the family photo on his desk. A meeting room next door has been built like a studio and equipped with high-tech sound-proofing panels, but even they cannot hold back the loud voices of the company’s executives as they iron out some last-minute details before their chairman’s impending one-month trip to Australia. Then suddenly conversation stops as two men enter Aboud’s office holding a 30kg gift-wrapped package. The businessman welcomes them warmly and bides them to unwrap the parcel. The painting is a gift from the beneficiaries of charities supported by Aboud, in particular from refugees who get vocational training to build their lives. Through his various CSR activities, Aboud aims to support relief projects that offer job opportunities to the refugees from Syria by running handcraft workshops to provide them with an income and to preserve the heritage of arts and crafts. Other activities of social responsibility are in the areas of food, medical services, education and vocational training. Aboud, who is also a Belgian national, strongly believes that through expanding his investments globally, there might be better opportunities in generating profits that he can use to offer more support. “Seeking global opportunities today is our top priority,” he explains as he puts in motion a plan to expand his business empire in Australia. A quick glance at Aboud’s desk reveals that he is planning to ramp up his operations in the world’s smallest continent. Aboud decided to first enter Australia in 2015 after spotting a promise of growth. “We were encouraged by the strength of the Australian economy and the soundness of its hospitality market,” says the billionaire. Aboud and his team have implemented an investment portfolio of A$1 billion to develop a range of hospitality assets managed by their inhouse brand - Crystalbrook Collection. According to the World Investment Report 2018 by the United Nations Conference on Trade and Development (UNCTAD), Australia is the eighth largest economy in the world in terms of the volume of inward direct foreign investments. 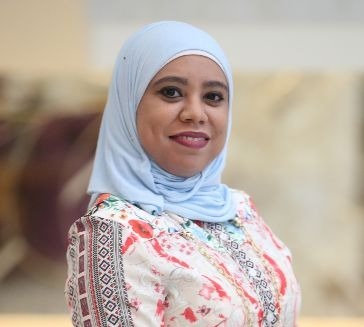 The country also ranked 18th out of 190 countries in the Doing Business Report 2019 issued by the World Bank after it streamlined steps to attract foreign investments. Amidst his investment spree, Aboud also snapped up projects within Australia’s luxury hospitality sector. In November 2018, Ghassan Aboud opened the Riley Hotel in Cairns and the Little Albion in Sydney, in addition to opening Crystalbrook Lodge—a resort consisting of high-class wooden lodges overlooking a magnificent landscape in the great outdoors. Then earlier this year, Aboud acquired the council's administration building in Australia's Newcastle city, which was once owned by the local council. “It’s an architectural masterpiece,” he says describing the grand and luxurious building. He plans to keep the general structure of the building and preserve its historical essence while transforming it into the five-star Kinsley hotel. In addition to this, the group is developing the $220 million Crystalbrook Marina project in Port Douglas, the gateway to the Great Barrier Reef—the largest barrier reef in the world. The project is expected to be completed by 2022. And then there’s the MV Bahama—a 90-feet-long super yacht moored in Queensland offering guests a luxurious adventure across the reef from its deck. “The beginning is just in Australia, but we are set to expand our investments all over the world,” says Aboud. At his base in the U.A.E., Aboud is currently overseeing several new investments this year. He launched his retail business in the country by opening Grandiose Supermarkets, a specialized supermarket chain. Starting out with just five stores in Dubai and Abu Dhabi, the businessman now plans to open six other stores in 2019 and more thereafter. Aboud first came to the U.A.E. in 1992 after completing a degree in Media and Public Information from Damascus University in Syria a year earlier. He started out as a PR officer, later working as an information officer. But with an itch for entrepreneurship, he was restless to start out on his own. Pooling savings from his jobs, Aboud ventured into the world of business and began with trading in automotive vehicles and products from the U.A.E in 1994. While such a business model had only existed previously in Hong Kong, it was soon gaining momentum in Dubai, which was transforming into a trading hub for re-exports. Aboud’s flagship business grew to become a leader in the automotive industry worldwide, drawing its strength from a booming market in the U.A.E. Over the years, the businessman invested heavily into an extensive automotive supply chain related infrastructure - including warehouses, workshops, storage yards, showrooms, offices and logistics services. Today, the Ghassan Aboud Group is a global organization in the automotive supply chain, serving customers in more than 100 countries. After two decades of operations, the entrepreneur has succeeded in forging strong relations globally. The Ghassan Aboud Group now has a number of strategic partners all over the world. 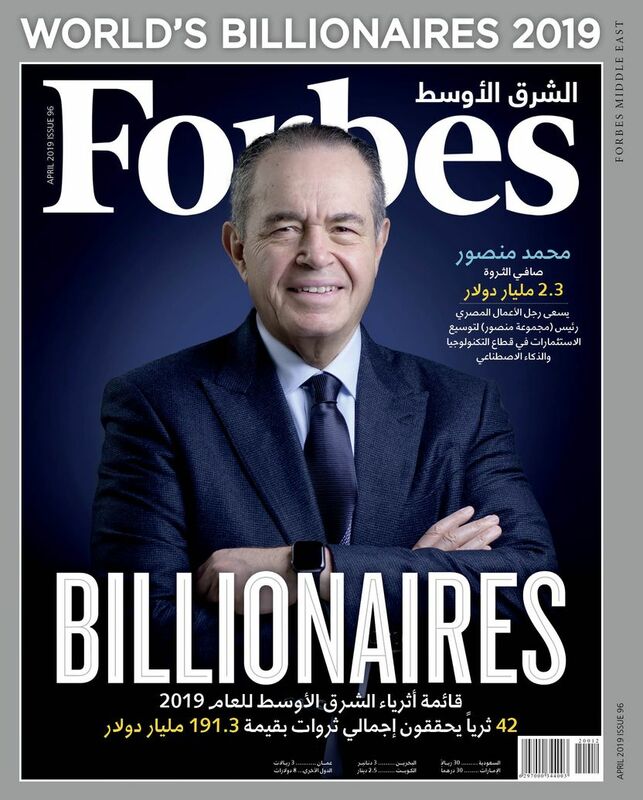 Aboud’s conglomerate is the main supplier for three major global companies in oils and lubricants in Africa and the Middle East thanks to an expansive diversification strategy that he undertook in 2008. The group also signed a key contract in 2018 with Hindustan Petroleum Corporation, a company that produces base oils in the biggest oil refinery in India, with $35 billion in revenues. Aboud’s current focus in on consolidating and expanding the group’s automotive supply chain platform – by increasing the portfolio of products and services. As well as to establish the retail, catering and distribution platform in the Middle East and Africa. Aboud’s priorities also include the group’s foray into real estate in Belgium and a regional 3PL logistics company. All the businesses will have an emphatic technology and digital focus, complemented by innovation. As Aboud prepares to leave his office to board a flight to Australia, he takes one last look at the mosaic painting and instructs his staff to take good care of it. “It’s from my precious homeland,” he says. Memories of Syria will clearly remain etched in his mind despite where his work takes him. He takes a second to ensure that the books he wants to read on his trip are already downloaded on his phone. This time it is Gabriel García Márquez Love in the Time of Cholera. “My heart is definitely filled with love,” says Aboud.